This paper sets up the constitutional foundations to the other papers being presented throughout the day, in understanding how British subject status and alienage has shaped understandings of membership throughout Australia’s history. This continues to this very day, culminating in the recent arguments by the Solicitor-General of Australia in the matter before the High Court on section 44 (1) of the Constitution. The recent judgment in that case will be analysed to reflect on this thesis proposed. Kim Rubenstein’s research projects revolve around citizenship law and ideas about active citizenship. She is the co-series editor of Cambridge University Press series Connecting International Law with Public Law, with the sixth book published in July 2016. Her own book, Australian Citizenship Law (Lawbook 2016, 2nd edition), represents much of the spread of her interest in citizenship issues, looking at the disjuncture between the exclusive legal notion and the more inclusive normative understanding of citizenship. In 2002–2003 Kim was based at Georgetown University Law Center, as a Fulbright Senior Scholar to work on the status of nationality in an international law context. Kim is a graduate of the University of Melbourne and Harvard Law School; her graduate work at Harvard was supported by the Sir Robert Menzies Scholarship to Harvard, a Fulbright postgraduate award, and a Queen Elizabeth Jubilee Trust award. Kim’s interests also encompass teaching and the broader field of education, particularly women’s education, and she is currently completing a biography of Joan Montgomery OBE, former Principal of Presbyterian Ladies’ College Melbourne and an influential educator. In the practical legal sphere, Kim has made significant contributions to the jurisprudence in citizenship. She was a member of the Independent Committee appointed by the Minister for Immigration and Citizenship to review the Australian Citizenship Test in 2008 and she has appeared three times in the High Court of Australia on citizenship matters, with her work cited in Singh v Commonwealth (2004). In 1924, On Hing’s naturalisation certificate, issued in New South Wales in 1875, was tendered as evidence in a case heard before the Court of Quarter Sessions in Sydney. The case concerned On Hing’s daughter, Lucy Wong Sau, who had been arrested as a prohibited immigrant under the Immigration Act on her return to New South Wales after 35 years in China. With proof of Lucy’s Australian birth in the form of her birth certificate, and proof of her father’s Australian domicile in the form of his naturalisation certificate, the Court of Quarter Sessions ruled in her favour. Within months, however, the Commonwealth had appealed to the High Court, who ruled against Lucy, finding that she was not a member of the Australian community. In this paper I want to consider the interplay of naturalisation, mobility and Chinese restriction laws in colonial and post-Federation Australia, particularly within the context of the family. Before 1888, when naturalisation of Chinese was prohibited by law in New South Wales, nearly 1000 Chinese men were naturalised in the colony. Many of them sought naturalisation to avoid the prohibitive poll tax that was re-introduced with the 1881 Influx of Chinese Restriction Act. Over the following decades naturalised Chinese residents of New South Wales, and their families, continued to draw on their status as British subjects to negotiate anti-Chinese laws, particularly when they travelled out and back into the colony. In the paper I will trace the relationship between naturalisation and Chinese restriction laws in New South Wales from the 1880s, and discuss several notable cases, including that of On Hing and his daughter Lucy Wong Sau. Kate Bagnall is an ARC DECRA Research Fellow in the School of Humanities and Social Inquiry at the University of Wollongong, where she is working on a comparative study of Chinese colonial citizenship in Australia, Canada and New Zealand. She has published on various aspects of Chinese Australian history and is co-editor, with Sophie Couchman, of Chinese Australians: Politics, Engagement and Resistance (Brill 2015). Much of her research explores the lives of the women, children and families of Australia’s early Chinese communities and the transnational connections and qiaoxiang ties of Chinese Australians before 1940. Kate has studied and worked in southern China, and in 2017 she and Sophie Couchman led their first heritage study tour to the Chinese Australian homelands of Guangdong province. Kate is @baibi on Twitter and you can find her blog at www.chineseaustralia.org. This quote is taken from a letter written in the 1920s by a young Anglo-Indian (mixed-race) woman sent to New Zealand as part of a Presbyterian mission scheme. Her lack of knowledge about her parentage, combined with her physical appearance, prompted comments by other emigrants about her dubious heritage, which culminated in this poignant outburst of anxiety about not who, but what, she was. The letter was written to the institution in Kalimpong, northeast India, where she grew up and was ‘trained’ for colonial resettlement. She was one of 130 adolescent Anglo-Indians sent to New Zealand between 1908 and 1938, having been permanently separated from their birth parents (British tea planters and local women) at the age of four or five. In this paper I explore the interaction between appearance, acceptance and anxiety on the one hand, and paperwork, citizenship and status on the other. The Kalimpong scheme sent groups of Anglo-Indians to New Zealand throughout the 1920s, a time of heightened racial anxieties, via a network of Scottish Presbyterian supporters who successfully applied for permits on their behalf. From this point on the Kalimpong emigrants existed in a kind of continued limbo status, aware of the difficulties in getting them across the border and uncertain of their ability to move across it subsequently. Here I argue that the darker the skin, and the more different the physical features, the greater this anxiety and hence the greater the impact of shifting immigration regimes. I also take this opportunity to present some exploratory ideas about a new project that applies these questions more broadly to the range of communities/individuals that entered New Zealand under the ‘permit system’ – the legal framework that regulated non-British immigration from 1920 until the 1970s. Jane McCabe is a Lecturer in History at the University of Otago, where she teaches papers on Modern India, Colonial India, Migration to New Zealand, and Global History. Her monograph Race, Tea and Colonial Resettlement: Imperial Families, Interrupted (Bloomsbury, 2017) examined a Presbyterian scheme that resettled 130 mixed-race children from Indian tea plantations to New Zealand in the early 20th century. Jane’s current research project, funded by a Royal Society of New Zealand Marsden Grant, is a cross-cultural history of land and inheritance. In 1909 the Australian government introduced the concept ‘not substantially of European origin or descent’ into amendments to the 1903 Defence Act. Those covered by the phrase were technically ‘exempt’ from compulsory military service in times of peace, except in a non-combat capacity. This was followed in 1910 by a similar amendment regarding military service during times of war. It was then introduced into regulations governing recruitment for the Royal Military College at Duntroon and then applied to the enlistment of troops for Australia’s expeditionary forces during World War I. By using the phrase ‘not substantially of European origin or descent’ into requirements for participation in Australia’s military forces, the Australian government introduced racially-based limitations on the rights (and obligations) of Australia’s natural-born British subjects. This paper will interrogate this space. What did the phrase ‘not substantially of European origin or descent’ mean? Despite a long history of legislation discriminating against non-white Australians, particularly Australia’s first peoples and its Chinese population, the phrase ‘not substantially of European origin or descent’ does not appear to have been used prior to its introduction in 1909 to the Defence Act. How was it interpreted in the contexts in which it was used? Who were its intended targets and what did it mean at a time when Germany was simultaneously Australia’s enemy and second largest migrant group in Australia after the United Kingdom? Drawing on research undertaken by a range of scholars identifying Chinese Australian servicemen this paper will also explore the impact that this bar on the enlistment of those ‘not substantially of European origin or descent’ might of had on Chinese Australian participation in Australia’s armed forces during World War I. Some Chinese-Australian men, like George Kong Meng, where certainly refused enlistment during World War I because of their ancestry but there were also others, such as the sons of Chin Lang Tip, who did succeed in enlisting at the same time and at the same enlistment depot. While there are no simple answers that explain this contradiction but it is possible to tease out more fully why such contradictions may have occurred and in doing so improve our understanding of how white Australia operated. Sophie Couchman is a curator and public historian. She is an Honorary Research Fellow at La Trobe University and an Honorary Research Associate at Museums Victoria. She is interested in the place of migrants in Australia’s history and has researched and published in the field of Chinese-Australian history for many years. She has just completed work at Museums Victoria as exhibition curator on ‘British Migrants: Instant Australians?’, a travelling exhibition exploring British migration to Australia after World War II and its significance today. Sophie has a particular interest in the creation and circulation of visual representations and how they shape our understandings of Australia’s past. She developed the Chinese Australian Historical Images in Australia website as part of her doctorate. She is currently working on a joint project between La Trobe University and Museums Victoria, ‘The Camera at Work’, which explores how changes in photographic technologies and practices transformed the visual documentation of factory life in Melbourne, 1870s through to the present day. While Curator at the Chinese Museum in Melbourne Sophie led a number of notable projects including ‘Language, A Key to Survival: Cantonese-English Phrasebooks in Australia’, which won a Museums & Galleries National Award for ‘Interpretation, Learning and Audience Engagement’ in 2014. She also led the development of ‘Chungking Legation: Australia’s diplomatic mission in wartime China’ exhibition and book in 2015 and in 2014 the tour to six locations in China of ‘Bridge of Memories: Exploring identity, diversity, community – An Australian touring exhibition in China’. When we recount women’s struggles to achieve equal citizenship with men, we tend to concentrate on their campaigns for voting rights. In so doing, we ignore women’s struggles to achieve independent citizenship, as the larger suffragist story overshadows the history of dependent nationality laws and their effect on women married to ‘aliens’. From 1920 to 1948, if an Australian-born woman married an ‘alien’, that is a person without British subject status, then she would also be deemed an ‘alien’. A major breakthrough came in 1936, with the introduction of Section 18A of the Australian Naturalisation Act, which allowed maritally denaturalised women to retain their citizenship rights whilst in Australia and its Territories. Section 18A transformed a small but significant number of women’s lives by enabling them to continue to work, vote, own property, and receive government pensions. Yet, despite its significance, this amendment has only received minor scholarly attention. In this paper, I will explore the reasons for the development of this critical citizenship reform and outline the effects it had on Australian women’s lives as they negotiated the middle ground between ‘subject’ and ‘alien’. I will argue that Section 18A was, indeed, a godsend for many women. Emma Bellino is in her first year of a PhD at the University of Wollongong. Her thesis explores a history of marriage, women’s nationality, and Australia’s Asian communities in the early 20th century. Her other research interests include; women’s/ gender/ feminist history, marital and reproductive histories, periodical studies, Indigenous history, Australian history, and histories of emotions. Between 1942 and 1945, over two million servicemen occupied the southern Pacific theatre, the majority of them Americans in service with the Marines, Army, Navy and Air Force. Their short but intense period of occupation in the South Pacific had far reaching consequences. Not only did they dramatically alter the economies and environments of the islands, they also brought with them a set of ideas about race and intimacy encapsulated in legal codes that informed military regulations governing overseas marriages involving US forces. There was a ban on interracial marriage in the China-Burma-India theatre, while racial discrimination encoded in federal immigration and naturalisation laws shaped the fortunes of Japanese war brides of US military personnel. Military governance of marriage was also a feature of the Pacific War in the South Pacific Command. This presentation examines marital naturalisation laws and procedures in relation to interracial and transnational marriages generated out of American wartime occupation in the South Pacific. Under US law, when a foreign woman married an American man she was not automatically naturalised. So what was the status of the 60 Indigenous women from New Zealand, the Cook Islands, Tonga, Fiji and Samoa who married US servicemen? Deemed ‘racially ineligible’ under US federal immigration and naturalisation law, and not subject to marital naturalisation, this paper argues Indigenous women were at once subjects and aliens. Angela Wanhalla is an associate professor in the Department of History and Art History, University of Otago, New Zealand. She is the author of Matters of the Heart: A History of Interracial Marriage in New Zealand (2013) and co-edited Mothers’ Darlings of the South Pacific: The Children of Indigenous Women and US Servicemen, World War II ( 2016) with Judith A. Bennett. Her most recent book is He Reo Wāhine: Māori Women’s Voices from the Nineteenth Century (Auckland University Press, 2017) co-authored with Lachy Paterson. For over a century the term ‘alien’ was applied unlawfully in a racial not legal sense as a fundamental marker of belonging in Australia. Prominent lawyers, lawyer-politicians and judges refused to acknowledge the ‘ancient and fundamental’ rule of birthright subject status when it came to non-European inhabitants, who were routinely denigrated as ‘aliens’ regardless of their actual legal status. This misuse reached its high point in 1906 when the High Court of Australia, led by Chief Justice Sir Samuel Griffith, authorised the expulsion of Australia’s entire community of Pacific Islanders under the ‘aliens power’ in the Constitution. No other British democracy began with the deportation of an entire racial group. In Robtelmes v Brenan (1906) 4 CLR 395 the High Court ignored centuries of established law in declaring all Pacific Islanders as ‘indisputably alien’ who could be expelled from Australia. Robtelmes v Brenan is still incorrectly cited today in support of the Commonwealth’s sweeping power over ‘aliens’. Griffith and Justices Barton and O’Connor had consistently misused the term ‘alien’ as a default expression for people of non-European appearance. Moreover in their political careers the judges had been leading advocates for banishment of the Islanders, then in a major conflict of interest upheld the expulsion in Robtelmes. Opponents of the expulsion queried whether Islanders lawfully resident in Australia could be ‘forcibly deported’. Yet no-one asked if they might be British subjects not ‘aliens’ under the law and therefore outside the reach of the deportation provisions in the Pacific Island Labourers Act. Nearly all Islanders came from locations under varying degrees of British control. By 1906 many had been born in Australia itself. Under legal principles unchanged since Calvin’s Case in 1608, nationality and ‘alien’ status had nothing to do with the colour of a person’s skin. But in Robtelmes the High Court assumed all Islanders were ‘aliens’ because of their race. In this case the racial meaning of ‘alien’ wrongly became the law. The significance of Robtelmes v Brenan as a violation of the rule of law has yet to be noted in modern histories of Australia. Peter Prince has spent the last 15 years working on ‘aliens’, much to the amusement of his children. In 2016 he completed a PhD thesis with the ANU College of Law, supervised by Kim Rubenstein, on misuse of the word ‘alien’ in nineteenth and twentieth century Australia. His paper concerns an icon of Australian law – Sir Samuel Griffith – and the 1906 High Court case (still cited as an authority today) which authorised the federal government’s expulsion of the Pacific Islander community as a key element of its White Australia policy. After the implementation of the Immigration Restriction Act of 1901, Japanese already residing in Australia were permitted to remain in the country with relatively little intervention from the authorities, even if they were not permitted citizenship rights. Even during the large-scale registration of aliens that occurred during World War One, there was no attempt to deport Japanese. The acceptance of Japanese as long-term residents was a complex matter that was shaped by class and gender divisions. After 1904, tourists, students and merchants were allowed entry, as were the Japanese male workers in the pearling industry who came on temporary exemptions. But other working-class Japanese men were often subject to overt hostility. Japanese women on the other hand, even those who were registered as working prostitutes, were able to remain in Australia with relatively little official intervention or public outcry. This paper seeks to explore the degree to which long-term residence for Japanese as ‘aliens’ was normalised during this period, with a particular focus on women. Was this an era of relative calm before the rising tensions of the 1930s and the dramatic events of 1941 that saw Japanese residents interned? Historians Pam Oliver, Naoko Shimazu and others have pointed to the 1910s and 1920s as shifts in international relations that influenced Australian attitudes towards Japanese residents. My aim is to consider whether these shifts translated into on the ground vulnerabilities for individual Japanese and in particular for Japanese women. 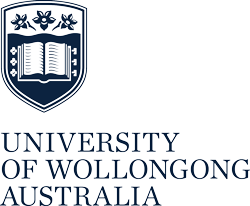 Dr Julia Martínez is Associate Professor in History at University of Wollongong. She was a recent Australian Research Council Future Fellow, researching the ‘traffic’ of women in Southeast Asia and Australia. Her current projects include a transcolonial history of male domestic service with Claire Lowrie, Frances Steel and Victoria Haskins; and an edited collection with Kate Bagnall on Chinese women in Australia. Her monograph (with Adrian Vickers) Pearl Frontier: Indonesian labor and Indigenous Encounters in Australia’s Northern Trading Network (University of Hawai’i Press, 2015) won the 2016 NT History Book Award, the Queensland Literary Awards History Book Award, and was short-listed for the AHA Ernest Scott Award.